Made in the U.S., American Balmore Lace boasts of traditional elegance with a modern touch, and a cotton-soft look and feel. Inspired by turn of the century Scottish lace, its rich jacquard design features a floral pattern with ribbons. The side and bottom edges are enhanced with gentle scallops. These door panels have a 1 1/2" rod pocket on the top and bottom of the panel. Measurements are from the top stitch of the top rod pocket to the bottom stitch of the bottom rod pocket. To install these lace door panels, start at the top rod pocket by inserting the rod through the pocket. Then, hang the top rod in place by installing mounting brackets and setting the rod on the brackets. Next, insert the second rod through the bottom rod pocket, then let the panel relax into position. Mark the location for the bottom mounting brackets, making sure the panel is snug enough to avoid bagging. Install the bottom bracket and attach the bottom rod with the panel in place. Use American Balmore Lace Door Panels to add a touch of Old World elegance to a formal sitting or dining room, or to soften the natural light in a sewing or reading corner. These delicate lace door panels will complement your refined style and polished aesthetic without being stuffy or staid. They go perfectly with polished wood furniture and antiques for a sophisticated ambiance, or pair them with natural finishes and overstuffed chairs for a cottage-chic appeal. American Balmore Lace Door Panels are available in white and beige and can be machine- washed without losing their lovely shape and detail. 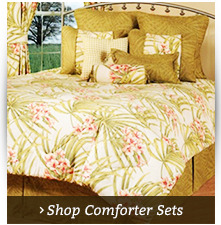 They are 70% cotton / 30% polyester. Etoile Jacquard Rachel Lace door panels feature an elegant overall Swiss dot design. 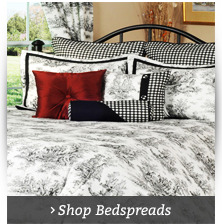 Offering a classic look in sheer lace for your windows you can enjoy its traditional appeal without that flowery look. Door Panels are sold individually. Door Panels have a 1 1/2" rod pocket on top and on bottom. Measurements are from the top stitch of the top rod pocket to the bottom stitch of the bottom rod pocket. To install, start with the top rod pocket by inserting the rod through the pocket. Then, hang the top rod in place by installing brackets and setting the rod into the brackets. Next, insert the second rod through the bottom rod pocket, and then let the panel relax into position. Mark the location for the bottom brackets, making sure the panel is snug enough to avoid bagging. Install the bottom bracket and attach the bottom rod with the panel in place. Made of 100 percent polyester and machine washable. Imported from Europe. The Etoile Jacquard Rachel sheer door panel is exactly what you've been looking for. 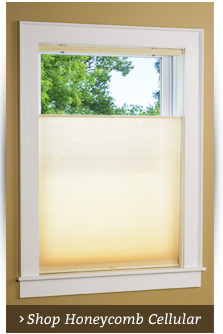 It has a classic look that offers a touch of privacy and creates a softer light in your space. Yet it isn't overly fussy or feminine. The Swiss dot pattern creates chic detail and interest across the entire fabric, yet the clean look of this European door panel goes with any d�cor, from cottage chic or modern to antique or farmhouse. 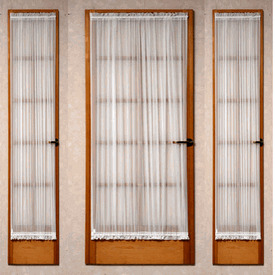 Choose simple style at an affordable price with the Etoile Jacquard Rachel sheer door panel from The Curtain Shop and have your new curtains at your doorstep in just a few days. Just like a piece of glass long tumbling in the sea, our Sea Glass collection comes in White and Ivory. Semi-sheer is softly textured, allowing light in, yet still provides a degree of privacy. Material is gently slubbed. Each door panel is packaged with an 8" circle tie back to create that hour glass look. Sea Glass is made of 100% Polyester. Easy care - Machine wash cold on gentle cycle. Tumble dry on low heat. Low iron to touch up as needed. Dimensions: Door panels are 40" wide. Select from lengths of 36", 40", 45", and 72". 8" circle tieback is included. HOW TO HANG A DOOR PANEL: Door Panels are held in place by two rods, one on the top and one on the bottom of the panel. To install, start with the top rod pocket by inserting the rod through the pocket. Then, hang the top rod in place by installing brackets and setting rod to the brackets. Next, insert the second rod through the bottom rod pocket, then let the panel relax into position. Mark the location for the bottom brackets, making sure the panel is snug enough to avoid bagging. Install the bottom bracket and attach the bottom rod with panel in place. Add the tie back in center of door panel to create that hour glass look. Looking for door panels? Atlantic Stripe Sheer Curtain Panels feature a delicately woven vertical stripe that creates a soft silhouette for your window. 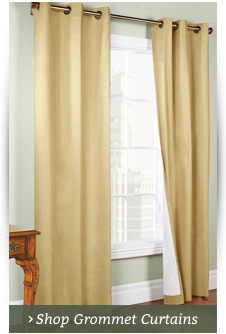 These soft, silky curtains are wrinkle resistant and hang beautifully. 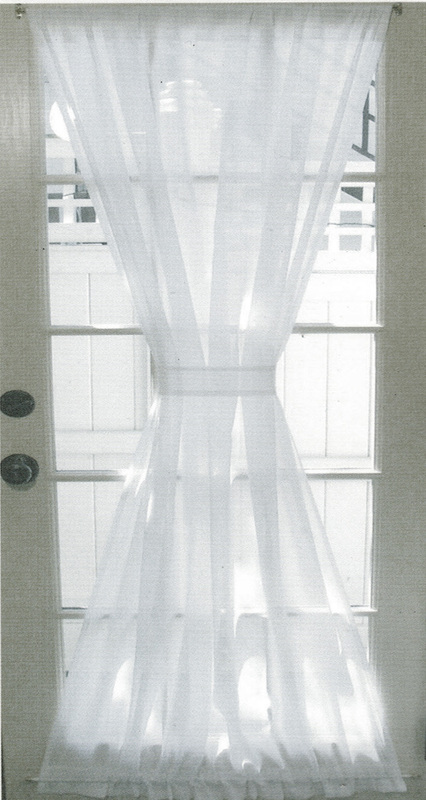 Sheer door panels have a 1 1/2" rod pocket and 1" header on top and bottom, and require a pair of sash rods for hanging. See how to hang in our "Curtain Information" section. Also available: Matching curtain panel pairs and Grommet Patio Panels with a pull wand that attaches to either side of the panel is also offered. Atlantic Stripe Sheer Curtain Panels are made of 100% polyester. Machine wash gentle cycle in cold water, tumble dry low heat, touch up with warm iron as needed. Imported. This medium weight door panel matches with our Country Ruffled Curtain Collection and inspires decorators with plenty of ideas for window and door treatments. Curtain bows can be added for that lovely hour glass look. 1 2/2" rod pockets with 2" header and footer are sewn at both top and bottom of panel. Our prices are the best in the country! Fabric Content: 50% Cotton / 50% Polyester. Made of 50/50 Poly/Cotton, it is pre-treated with UV to protect against possible damage from direct sunlight. Fabric is also pre-treated with a light starch solution, so gently press your curtains and hang. There is no need to pre-wash before hanging. Machine wash and dry. Made in the USA. One Size: 54"W x 72"L tieback included. Measured from top stitch of top rod pocket to bottom stitch of bottom rod pocket. Rhapsody is a beautiful lined European style voile rod pocket curtain panel that features a 2" rod pocket (top), 1 1/2" header (top), 1" side hems, 2" rod pocket (bottom), and 1 1/2 header (bottom). Color coordinated lining. Tieback is included. The elegant voile on the front accentuates any room in your home, and it is thermal lined on the back. Machine wash in cold water, tumble dry on low heat, warm iron touch up. Dimensions: All door panels are 41 inches wide. Availability in lengths of 45, 63, and 72. Door Panel is measured from top stitch of top rod pocket to bottom stitch of bottom rod pocket. 1.5" rod pocket, 1" header. Made in the USA by Ellis Curtains Machine wash cold water with mild detergent, machine dry gentle cycle, touch up as needed with medium warm iron. 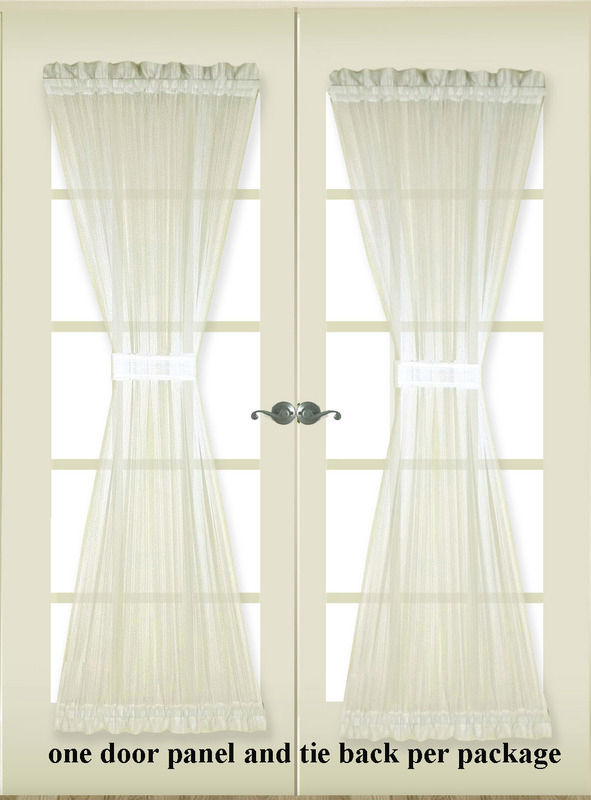 Dress up your door windows with a beautiful set of door panel curtains from The Curtain Shop. We carry a large selection of styles and colors, including popular French voile door panels and sidelights that feel silky to the touch. Our door panel curtains have a rod pocket on both the top and bottom panels which can be used with a sash rod or tension rod pair. Whether you're looking to dress a single door or a door with matching side windows, our large range of styles and sizes ensures you'll find the perfect fit for your space. 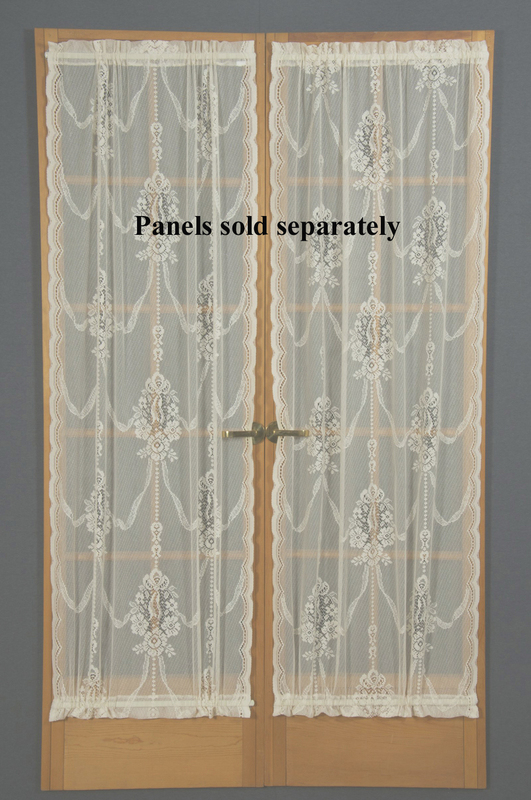 Our lacy door panels and sheer panels are the perfect choice for any home. Semi-sheer Sea Glass door curtain panels gently filter light through textured material and include an 8-inch circle tieback to create an hourglass look. The handsome curtains are imported by Ricardo Trading and can be used on any door. Looking for something more traditional? 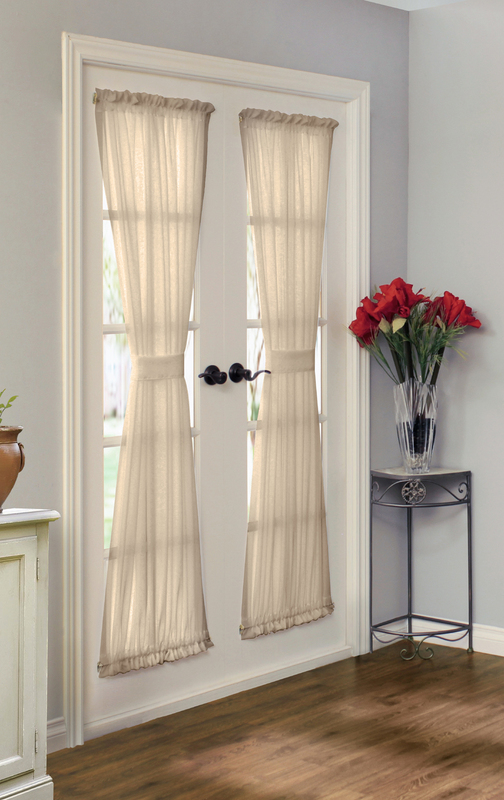 Check out our Prestige door curtains with exquisitely crafted details such as ruffled hems at the top and bottom. Not sure which size of door panel to choose? Check out our Curtain Sizing page for help measuring windows and doors for curtains. The Curtain Shop has been in business since 1953 and takes pride in offering the best selection of top-quality home decor items. If you have questions about a product or need help ordering, please contact us at 1-866-886-3632 and we'll be happy to assist you.